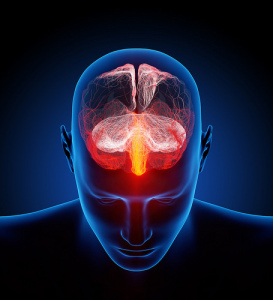 Traumatic brain injuries (TBIs) can have serious consequences. Even concussions, or mild TBIs, can result in significant threats to long-term health. Did you know that many people don’t even realize they have concussions? When head trauma patients don’t receive proper medical care and treatment, those mild TBIs can be even more dangerous. Now, research into a new eye-tracking technology, published recently in the Journal of Neurosurgery, promises to make concussion evaluations easier than ever. The new technology was developed at the NYU Langone Medical Center using 169 patients, according to a recent article in Forbes. Of those patients 157 were “neurologically normal,” or had no brain injury. Twelve of the patients had brain injuries, or “demonstrated specific abnormalities in cranial nerves controlling eye movement or brain swelling close to those nerves.” When these nerves are damaged—in other words, when a person sustains a brain injury—their eye movements change. For the study, the researchers required the patients to watch television shows or music videos, and they monitored their vertical and horizontal eye movements. In patients without brain injuries, the ratio of horizontal to vertical eye movements is typically equal, or 1:1. In patients with brain injuries, however, that ratio changes. And depending on the ratio (more horizontal movements versus more vertical movements), physicians can locate nerves that have been damaged by head trauma. While medical professional treating patients with severe TBIs typically can locate the source of the brain injury or the area affected by the trauma, patients with concussions aren’t as easy to evaluate. Often, the specific location of the nerve damage or brain swelling isn’t readily apparent. Now, this eye-tracking technology may offer a new method to make these evaluations. One of the great things about this new technology, several of the researchers emphasize, is that it’s transportable to many different medical professionals and diagnosis sites. For instance, it won’t need to be used only in hospitals. Rather, emergency medical responders will be able to assess patients after suspected brain injuries, and more significantly, sports venues may be able to employ it to evaluate athletes. Athletes in contact sports who suffer concussions can be at risk of life-threatening diseases like chronic traumatic encephalopathy (CTE). With eye-tracking technology, sideline doctors may be able to use this “simple non-invasive screening test” to determine whether a football player, for instance, has suffered a concussion on the field. Right now, the balance error scoring system (BESS) test is the one primarily used to determine whether athletes have sustained concussions. How does it work? It allows doctors to assess abnormalities in balance. However, many physicians emphasize that it’s a problematic test if the player has difficulty standing for an unrelated reason (such as a spinal cord injury or a hip injury). The new eye-tracking technology could be extremely useful when athletes in contact sports sustain multiple injuries, including suspected head trauma. To be sure, the new technology could be used regardless of whether a patient is able to stand upright during the test. If your loved one recently suffered a concussion or other traumatic brain injury, you may be able to file a claim for compensation. Contact an experienced San Diego brain injury lawyer today to learn more about how we can assist with your case.